A Grenadian trained mortality coding expert has been rated as number one in the Caribbean. The news was broken on the final day of a recent 2-day mortality coding training workshop conducted in Grenada by the Pan American Health Organisation/World Health Organisation (PAHO/WHO) Barbados Office. Dr Margaret Hazlewood, the former Technical Adviser for the International Classification of Diseases, at the PAHO/WHO Barbados Office, shared the welcoming news with Grenadian health practitioners and officials present at the close of the workshop. “I want to draw to your attention that there is only one medical coder in Grenada, and that is Angella Joseph. She has to code all 800 – 900 death certificates and so she deserves a hearty round of applause. Honestly, I would take her with me if I have to go to another country. She is the best in the region,” explained Dr Hazlewood (to loud applause). “I can tell you no one else in the region can compete with her when it comes to mortality coding. So, I am asking you to please give her your support. And whenever she calls please answer your phone,” said Dr Hazlewood as medical practitioners cheered and vowed to work closely with Joseph. Following the announcement the GIS spoke with Joseph, who explained what her job entails. “So as the country’s only mortality coder I have the all-important task of coding of all deaths for each year, coding the clinical usage data from both doctors and nurses at the community and hospitals and epidemiology-data,” Joseph explained. As a one of the senior health information officers, Joseph works closely with a number of private medical practitioners operating on the island and has the all-important task of compiling the country’s top 10 causes of death on a yearly basis. 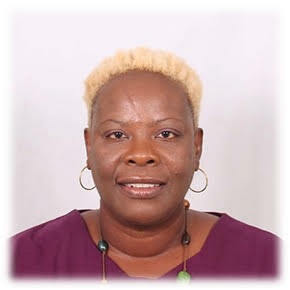 Joseph said she has been employed with the Ministry of Health for the past 25 years, and throughout her career participated in several training workshops. She later furthered her studies overseas in Health Care Management with Penn Foster College in Scranton, Pennsylvania, USA. Her studies had included, Law and Ethics in Medicine and Health Insurance Portability and Accountability Act (HIPPA) Compliance, Coding and Billing, Leadership and Management, Medical Terminology, Electronic Medical Records and Coding, Health Care Management and Essentials. In recent years she conducted some in-house seminars for members of staff and has also facilitated similar training workshops in Grenada, Guyana, Barbados, and Trinidad and Tobago. Despite turning-down several offers in the Caribbean, Joseph was recently approached by a South American country less than a month ago, to conduct, join their staff or at least provide much needed training in the reorganising and setting up of mortality coding database. Meanwhile the GIS has learned that previously there were only two top coders in the region. One is Joseph, and the other a Jamaican who recently passed away.